Mmmmmmm Junk Food!! Check out our new range of illustrated Phone cases! We’ve covered all the greats – pizza, ice cream & pretzels a delicious combination of salty and sweet; what more could you want in life? Available for the iPhone 4/4s and 5/5s we hope our tasty new designs have you drooling 😉 They’re now available online in our Etsy shop and will be available in our NOTHS shop very shortly. If you’re loving these, you’ll definitely want to check out our new Junk Food keepsake cards too – a match made in heaven! We hope you love our new range… Which is your fave? 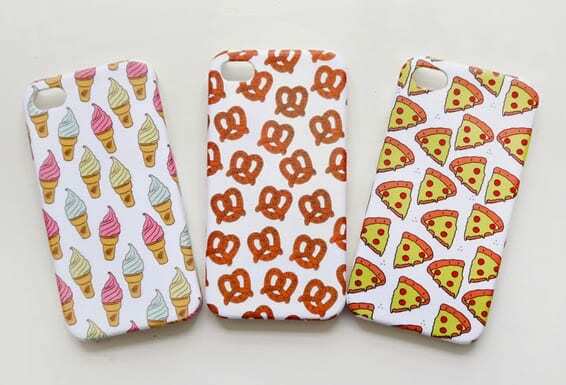 I would definitely wear them – the pizza, watermelon and donuts are my fave! 80 sounds great because you can save them for another ocassion and get lots of wear out of them! I think it sounds like a really unique idea! 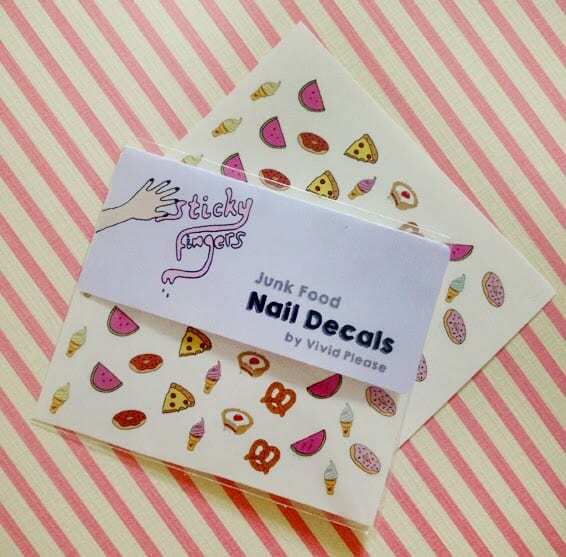 Everything else in life is based around food, especially lately, why not nails? Amazing! Can’t wait for the nail decals. I think anything from 50 up would be a good amount. Love the pizza case too! Love the phone cases, really really cute!